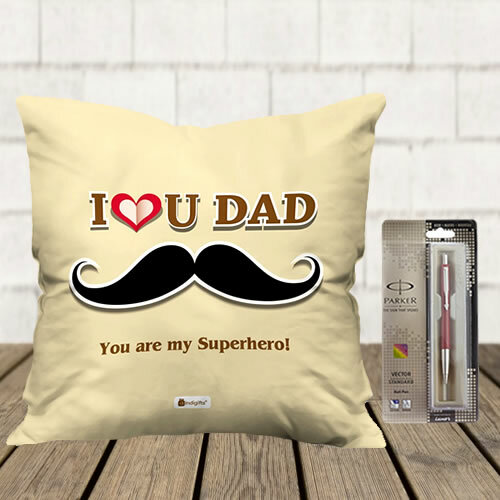 This hamper contain: 1 cushion 12x12, 1 parker vector standard ball pen(pen color may vary). Same day delivery available in Jaipur only. Preferred delivery option According To Delivery Date Only In Jaipur (Hand Delivery)	(+₹150) Delivery in 3-4 working days (Via Courier)	(+₹50) Deliver with cake or flowers, for same day delivery order before 2 pm.